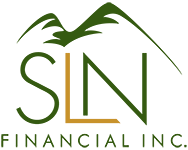 January 18, 2017 - The Cost of Healthcare and Elder Care in Retirement | SLN Financial, Inc. When preparing for retirement, imagining the new lifestyle you’ll embark on can be exciting. From travel to family time to relaxation, a fulfilling retirement looks different to each individual. But preparing for the quality of life you desire goes beyond simply ensuring you can support your daily costs and fulfill your dreams. You should also address two other looming financial responsibilities: healthcare and elder care. Read on for some reminders about the shifting realities of retirement planning — and items that everyone should prepare to cover in their golden years. And many people will have an even longer lifespan: About one of every four 65-year-olds today will live to be more than 90; and one out of 10 can expect to live past 95 years old.4 As a result, if you’re in good health, you need to prepare for your longer lifespan and the associated medical costs that come with older age. Generally, a retiree’s Medicare and employer-sponsored insurance do not cover long-term-care costs. So, understanding the financial gap you have in your planning is critical. In addition, many individuals are not putting enough money away into healthcare savings accounts (HSAs). The average HSA account balance for people 65 years and older is $5,016.11 So, to say that retirees are not fully preparing themselves for costs to expect in their later years is an understatement. You need to take an honest look at if you have a retirement savings shortfall — so you can create a strategy now to fill that gap. Overall, these costs are just a snapshot of key retirement healthcare expenses to plan for. Factors such as your unique lifestyle, current health, financial profile, and more will guide how you need to financially prepare for health-related costs throughout your retirement. To start the conversation, contact us and schedule your consultation. We’re ready to help you live comfortably in your golden years, so instead of worrying you can focus on enjoying life to its fullest.